Looking for durable and affordable industrial doors, new or used storage racks, or dock equipment? Massey Equipment Company offers a variety of material handling, loading dock, industrial door systems and storage equipment. 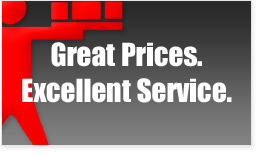 We serve suppliers, distributers, contractors and manufacturing industries throughout the St. Louis metropolitan area. For over 50 years, we have been working with customers to provide efficient and cost effective solutions for all of their equipment needs. Whether you require one piece of equipment or an entire system, Massey can serve all your material handling equipment needs. Visit our St. Louis, MO Showroom or call us at 314.621.0972 for an estimate. Our experienced representatives will provide you with the best advice on the right equipment for your individual business needs. New or used rack and storage equipment, including steel shelving, and loading dock equipment are always in stock at our St. Louis, MO location. Products are readily available for immediate local delivery or customer pickup. Purchase material handling equipment with total confidence! At Massey Equipment, we address your concerns by ensuring that you purchase the right equipment for every application at the best possible price. Our knowledgeable sales representatives are able to analyze the problem and offer long-term solutions in a timely manner. Contact Massey Equipment for quality performance storage and dock equipment. Our unique designs have made us one of the leaders in the industry. Our in-house design services can deliver a design built to your specifications. As the leading material handling, new or used rack and storage, and loading dock distributor, we’ll give you expert advice on the right equipment for your complete warehouse project, quickly and efficiently. Knowledgeable sales people who analyze the problem and offer long term solutions. A warehouse at I-70 & St. Louis Ave. loaded with products to solve your immediate problems. Experienced installers to assure a quality performance product. A shop with certified welders to repair or modify your existing rack. Systems designed & installed. CAD in-house.